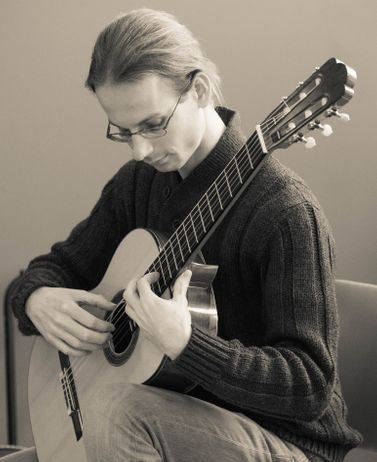 Welcome to the website of British classical guitarist and teacher, Marek Orszulik. Marek is available to perform for recitals, or provide background music for an event. He is also happy to discuss guitar tuition to children (aged 5 and up) and adults, from any musical background. He is currently based in Edmonton, Alberta (Canada). Recently Marek had the honour of performing in the presence of His Highness the Aga Khan, at the inauguration of the Aga Khan Garden (University of Alberta Botanic Gardens). Amongst the guestlist of dignitaries present were the Lieutenant Governor of Alberta, the Honourable Lois Mitchell, and the Premier of Alberta, the Honourable Rachel Notley. The ceremony was covered by the Edmonton Journal and CTV News Edmonton.